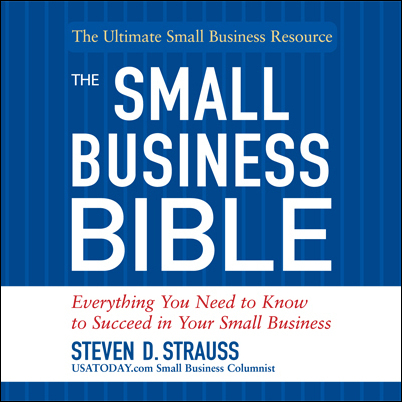 Whether the entrepreneur is a novice or a seasoned pro, The Small Business Bible is a comprehensive, A-to-Z library of everything the small owner needs to know. Not only does it teach new entrepreneurs what works and what doesn't--with scores of tips, hints, insider information, and secrets of success--but it's also a reliable, valuable, and insightful resource for established business owners who want to help their businesses continue to grow and succeed. After listening to the secrets of great entrepreneurs, real-life success stories, and cutting-edge strategies that work, and turn your dream of running a successful business into a profitable, fun and exciting reality. Steven D. Strauss is a lawyer, business columnist, popular speaker, and one of the world's leading small business experts. His popular, widely syndicated column, "Ask the Expert," appears weekly on USATODAY.com. He has appeared on CNN, CNBC, Bloomberg Television, MSNBC, Court TV, the BBC, and ABC News. He has been featured in Entrepreneur magazine, Investor's Business Daily, and the Los Angeles Times.